Photo courtesy of Chris Loves Julia. 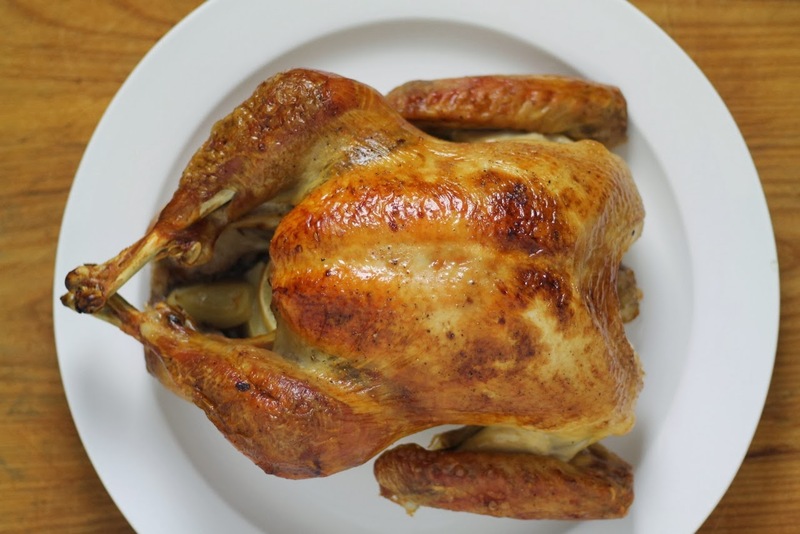 For those who haven’t yet purchased a Thanksgiving bird, a few words from our green expert Joyce Newman on “free-range” turkey. Did you know that the term, “free-range,” often used on menus and turkey labels, doesn’t mean the birds actually went outside. Yes, it’s true! In fact, according to government rules, turkey and other poultry producers just need to create “access to open air” for the turkeys. The amount of time they actually spend with this “access” isn’t specified and it could be just a few minutes a day in a screened enclosure. Also, if you see the words “hormone-free” on poultry, be aware that marketers aren’t really being up front with you, since by law, poultry and pigs cannot be given hormones in the U.S.
Watch out for similar-sounding terms that are not approved by the federal government including “antibiotic free” and “no antibiotic residues.” The USDA does not authorize the use of these terms and in most cases, antibiotics were heavily used while raising the birds but were stopped for a certain period (days or weeks) before slaughter—to bring drug residue levels down below acceptable FDA thresholds. For more information about labeling, see Fresh From The Source’s Poultry Primer and to learn more about shopping for and cooking turkey, check out this article from Consumer Reports GreenerChoices. This entry was posted in Cooking, Food, Uncategorized and tagged buying turkey, cooking turkey, free range turkey, healthy turkey, Thanksgiving turkey. Bookmark the permalink. We order our birds from local farmers….my feeling is that if you didn’t raise it yourself or know the person who did, you’re taking your chances! However, that kind of mentality also becomes very expensive/time-consuming very quickly. One does what one can! Thanks for the informative piece and Happy Thanksgiving!